Prior to gameday, tickets may be exchanged for accessible seats based on availability. If ADA seats in the original price level are not available, the ticket holder will be responsible for any price difference. Patrons who need be relocated to designated wheelchair/companion seating who acquire tickets via secondary markets or sources (e.g., NFL Ticket Exchange), are required to exchange tickets day of game at the ADA Ticket Exchange. Contact the Rams Ticket Office at 818-338-0011. On gameday, patrons who require accessible seating, that did not purchase or obtain accessible seating will be accommodated on a first-come-first-serve basis. Please use your current game ticket for entry into the Los Angeles Memorial Coliseum and visit the ADA Ticket Exchange inside by Gate 29. Bus and oversized vehicle parking is by permit only. Tall vans, large SUVs, RVs or buses will not be accepted in any parking garage because of height restrictions. For parking permits please contact the Rams Ticket Office at (818) 338-0011 or info@rams.nfl.com. As part of NBC’s agreement to televise Sunday night football, the NFL will implement a flexible schedule for Sunday start times for weeks 5-17. Flexible scheduling ensures quality matchups in all Sunday time slots in those weeks and gives “surprise” teams a chance to play their way into prime time. The NFL will decide (after consultation with CBS, FOX, NBC) and announce as early as possible the game being played at 5:15 pm PT. The announcement will come no later than 12 days prior to the game. The NFL may also announce games moving to 1:05 p.m. PT and 1:25 p.m. PT. On Gamedays, the Los Angeles Rams offer fans game previews, up-to-date information, interviews, rosters, stats and much more in “The Insider”. Programs cost $7 (price is subject to change). Parking gates open 5 hours prior to kickoff and close 90 minutes after the end of game. Fan Fest opens 4 hours prior to kickoff. Ticket Sales and Will Call open 4 hours prior to kickoff. Corona Beach House and Rams Party Zone open 3 hours prior to kickoff (Enter through Gate 1 or Gate 28). All gates open two hours prior to kickoff. It is recommended for fans to arrive 45 minutes prior to kickoff to enjoy all aspects of the game. Re-entry into the Los Angeles Memorial Coliseum is not permitted. The Los Angeles Rams Kids Club gives children the opportunity to connect with their favorite football team. Upon signing up, Kids Club Members will receive a welcome kit with customized items. For more information or to register, visit the Rams Kids Club website. Lost or stolen replacement tickets may only be requested by account name on record from a Season Ticket Member or Ticketmaster Account. Tickets may be reprinted on game days at Gate 29 by the purchaser of record and only purchases made through the Los Angeles Rams, Ticketmaster or NFL TicketExchange, tickets obtained from any other source which are lost or stolen will NOT be reprinted or replaced. Official Los Angeles Rams Merchandise can be found at RamsFanShop.com. Pop-up merchandise tents will be available at the Los Angeles Memorial Coliseum at Gate 19 and Gate 28 and at various Street Level locations. Print-at-home tickets (otherwise known as PDFs) are no longer allowed in the NFL, as part of a League-wide mandate. Due to this change in policy, most Los Angeles Rams’ tickets for the 2018 season will be mobile-only. All single game, forwarded and resale tickets will be mobile-only as well as a portion of season tickets. Tickets purchased through the Rams and Ticketmaster will be accessible through the free Rams Mobile App, Rams Account Manager on mobile web, or the Ticketmaster app. Through the Rams app you can download your tickets as well as manage your tickets – resell, forward or donate. For more information, visit Rams Mobile Ticketing. Noise-making devices are prohibited inside the Los Angeles Memorial Coliseum. Noise-making devices include, but are not limited to: cowbells, air horns, drums, musical instruments and all items that serve as a distraction to game play or fans. Parking in USC Campus and Exposition Park lots are by permit only and there is no public parking in Exposition Park for Rams games. Additional overflow parking is available on USC Campus and the USC Parking Center. USC Gameday Traffic Flow will be in effect for guests driving to the Coliseum. Please note, drivers may only make right turns onto streets around the Coliseum and USC to enter parking lots. Parking lots open five hours prior to kickoff and close 90 minutes after the end of game. Vehicles must exit the stadium parking lots by 90 minutes after the conclusion of the game. Parking in Exposition Park lots are by permit only. Parking permit is valid only on game date listed and for the lot designated on the permit. Parking permit must be displayed inside your vehicle at all times. Only the physical parking permit will be accepted. Parking permits are not available electronically. Parking permits are non-refundable and cannot be replaced if lost, stolen, mutilated beyond recognition or if the wrong pass is brought to a game. Your parking permit will be for the lot or parking facility listed on the front of the permit, but not a specific space. Please be advised that a space will only be held for you up to 1 hour before kickoff. Overnight parking and camping is prohibited. Parking lots and garages open 5 hours prior to kickoff and close 90 minutes after the end of event. Vehicles must exit the stadium parking lots by 90 minutes after the conclusion of the game. This permit requires a vehicle to be parked in the parking space. Tall vans, large SUVs, RVs or buses will not be accepted in any parking garage because of height restrictions. Exceptionally large vehicles (larger than a normal parking space) will require an RV pass. RV and bus parking (not exceeding 40-feet) is available at State Drive. Your parking permit must state “RV” on the FRONT to be used for a RV or bus. Neither the Los Angeles Rams, Exposition Park, University of Southern California, Los Angeles Memorial Coliseum nor Classic Parking assumes liability due to fire, theft, damage to or loss of the vehicle or its contents. By accepting the privileges granted by this parking permit, for security reasons you expressly consent to the search of any vehicle parked within 200 feet of any stadium entrance gate. Failure to meet these terms and conditions may result in your vehicle being towed at the owner’s expense and loss of future parking permit privileges. The traffic pattern for major events at the Coliseum relies on a right-turn only policy. Left-turn lane pockets around Exposition Park will be closed. Below are suggested directions to event parking lots. From I-110: Take Exit 20A, Martin Luther King Jr. Blvd. Turn left onto MLK and go straight. Entrance is at S. Hoover. From I-10 (eastbound): Take Exit 11 for Western Ave/Normandie Avenue. Exit at Western Ave. or Normadie Ave exit, turn right and proceed South to Vernon Ave. Turn left on Vernon. Then turn left on S. Hoover. Enter Lots 4, 5, or 6 from S. Hoover. From I-10 (westbound): Take Exit 14A for Los Angeles St toward Convention Center. Continue onto E 17th St. Turn left on S. Broadway. S Broadway eventually turns right and becomes W Martin Luther King Jr Blvd. Entrance is at S. Hoover. From I-110: Take Exit 20A, Martin Luther King Jr. Blvd. Turn left onto MLK and go straight. Turn right on Vermont Ave. Turn right on Exposition Blvd. Turn right on Bill Robertson Way. Entrances to both lots will be on your left. Caution: Bill Robertson Lane is not a through street during major events. From I-10 (eastbound): Take Exit 11 for Western Ave/Normandie Avenue exit. Exit at Western Ave. or Normadie Ave exit, turn right and proceed South to Exposition Blvd. Turn left on Exposition Blvd. Turn right on Bill Robertson Way. Entrances to both lots will be on your left. Caution: Bill Robertson Lane is not a through street during major events. From I-10 (westbound): Take Exit 14A for Los Angeles St toward Convention Center. Continue onto E 17th St. Turn left on S. Broadway. S Broadway turns right and becomes W Martin Luther King Jr Blvd. Turn right on Vermont Ave. Turn right on Exposition Blvd. Turn right on Bill Robertson Way. Entrances to both lots will be on your left. Caution: Bill Robertson Lane is not a through street during major events. From I-110 (northbound): Take Exit 20A, Martin Luther King Jr. Blvd. Continue straight onto S Hill St. Turn left on W. 39th St. Continue straight into Exposition Park. From I-110 Toll Lane (northbound): Exit Express Exit 39th St/Coliseum. Turn left on W. 39th St. Continue straight into Exposition Park. From I-110 (southbound): Take Exit 20B for Exposition Blvd. Continue on S Flower St. Drive to Exposition Park Dr. Use any lane to turn slightly right into Exposition Park. From I-110: Take Exit 20B for Exposition Blvd. Continue to Exposition Blvd., then take a right onto Figueroa Blvd. McCarthy Way Lot will be on the left and the Figueroa Lot will be on the right. From I-110: Take Exit 20B for Exposition Blvd. Continue to Exposition Blvd. Then turn left or continue straight onto S. Flower St. Flower Structure will be on the right. From I-110: Take Exit 20B for Exposition Blvd. Continue to Exposition Blvd., then take a right onto Vermont Ave. Downey is located on your right at Downey Way. For Jefferson St. turn right on Jefferson and parking lot entrance is on your right. For Royal St. continue on Jefferson. Entrance to parking is on your right at Royal St. Caution: Exposition Blvd may close one-hour prior to the event. From I-10: Take Exit 12 for Vermont Ave. Proceed South on Vermont Ave. For Jefferson turn left on W. Jefferson Blvd. and parking lot entrance is on your right. For Royal St. continue on Jefferson. Entrance to parking is on your right at Royal St. For Downey, continue South on S. Vermont Ave. Downey is located on your left at Downey Way. From I-110 (northbound): Take Exit 20B for Exposition Blvd toward 37th St. Continue onto S Hope St (signs for Exposition Boulevard). Turn right on W. 35th St. Parking lot entrance is on your left. From I-110 (southbound): Take Exit 20B for Exposition Blvd. Turn left on W. 37th St. Turn left onto S Grand Ave. Turn left on W. 35th St. Parking lot entrance is on your right. From I-10 (eastbound): Use the right 2 lanes to take exit 13 for Grand Ave toward Convention Center. Keep right at fork and follow signs for Grand Ave. Keep right and follow signs for Convention Center/Grand Avenue/Olive St and merge onto W 18th St. Turn right onto S Broadway. Continue South, turn right on W. 37th St. Turn right at the 2nd cross street onto S Grand Ave. Turn left onto W. 35th St. Parking lot entrance is on your right. From I-10 (westbound): Take exit 14A for Los Angeles St toward Convention Center. Continue on E 17th St. Turn left onto S Broadway. Continue South, turn right on W. 37th St. Turn right at the 2nd cross street onto S Grand Ave. Turn left onto W. 35th St. Parking lot entrance is on your right. Given limited tailgate parking options in 2018, we will be offering fans the ability to rent private tailgating space and turnkey services for groups of 10+ people on the Expo Lawns. In addition, we will continue offer our VIP Tailgate for attendees wanting an all-inclusive high-end experience. Already have game tickets? Click here to purchase tailgate passes. All games can be heard live in English on ESPNLA 710AM & simulcast on The Sound 100.3FM. All games can be heard live in Spanish on ESPN Deportes 1330 AM. Game Day Ticket Sales: Ticket booths are located outside of Gate 1 or Gate 19 four hours prior to kickoff and close at halftime. Game Day tickets are based on availability at both locations. During Los Angeles Rams games, the Ticket Office will be available to Season Ticket Members as well as Ticketmaster and NFL Ticket Exchange purchasers to resolve ticket and account issues. We will attempt to resolve all ticket issues, will only reprint tickets for the purchaser of record and only for purchases made through the Los Angeles Rams, Ticketmaster or NFL Ticket Exchange. Tickets obtained from any other source which are lost or stolen will NOT be reprinted or replaced. Season Ticket Members may manage their tickets through their Los Angeles Rams account manager. Only your game tickets are able to be managed through your account. Parking will only be issued as a hard pass and cannot be managed electronically. The NFL Ticket Exchange is the safest and most secure place to buy and sell Los Angeles Rams tickets to or from other fans. 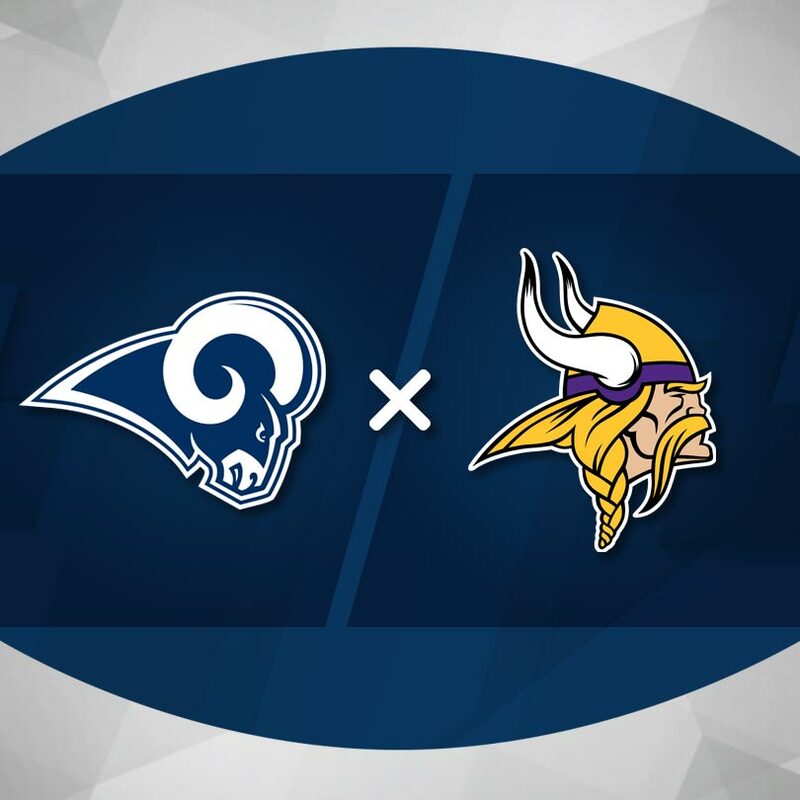 With NFL Ticket Exchange, each ticket originating from a Season Ticket Member or other seller can be tracked by the Los Angeles Rams Ticket Office to ensure the best possible customer experience and security. Fans may post their tickets on NFL Ticket Exchange at any price, even if that price is below face value. Please note prices may exceed face value on NFL Ticket Exchange as well. Tickets may be forwarded to another email address or re-printed through your season ticket member account manager until kickoff. Every ticket on your account carries a unique barcode, ensuring that they are authentic. During the forwarding process, the barcode on your original ticket is cancelled and the original ticket is no longer valid. The recipient is emailed a new ticket with a unique barcode that has been electronically issued. This new ticket can be printed using any standard printer. Guests with ticket related issues on event days should visit the Los Angeles Rams Ticket Office located at Gate 29. Only the original Season Ticket Member may have tickets reprinted for their account and must show valid identification. The resale of event tickets, regardless of price, is prohibited at Los Angeles Memorial Coliseum. Fans that purchase tickets from someone other than the Los Angeles Rams, Ticketmaster or NFL Ticket Exchange do so at their own risk and those tickets could be counterfeit. The Rams are not responsible for and will not provide a replacement or refund of any kind for invalid tickets purchased through a secondary ticket provider other than NFL Ticket Exchange. If you are a Season Ticket Member and your season tickets have been lost, stolen or mutilated, please contact the Rams Ticket Office by phone at 818-338-0011 or by email at info@rams.nfl.com. Season Ticket Members needing a ticket reprint on gameday can access their Account Manager through the Rams Mobile App to download a mobile ticket for entry free of charge. The Rams Ticket Office reserves the right to refuse any replacement ticket request. If your ticket(s) is not accepted by the ticket scanner at the gate, visit our Los Angeles Rams Ticket Office located at Gate 29. Our Member Service Team will be able to offer an explanation regarding the ticketing issue. Invalid ticket(s) will be confiscated. A photo copy of the ticket(s) will be provided to those guest upon request. If there are any tickets for sale, guests are welcomed to purchase valid tickets sold at face value. The Los Angeles Rams Ticket Office does not provide any scan reports for any event at the Los Angeles Memorial Coliseum. The Rams do not allow Season Tickets to be transferred to a different account.